Eastwell Property are a real estate consulting firm. They are property specialists who continuously strive to do more by adapting to their clientele and the growing real estate industry. Their services provide local, expert knowledge about the property market to developers and buyers interested in the market. Eastwell approached us to design and create an established brand. They wanted something modern that would appeal to their target market of younger buyers often seeking their first property. Another major target audience for Eastwell Property is the investor market. The majority of property that Eastwell encounters is new developments, it was therefore essential that their branding needed to be contemporary and modern. We designed a logo, typography and colour scheme. The icon that was designed is representative of the E and P that is Eastwell Property. The brand needed to be modern and recognisable, this was done by arranging the initials so that the P sits within the E and was designed to reflect a floor plan. 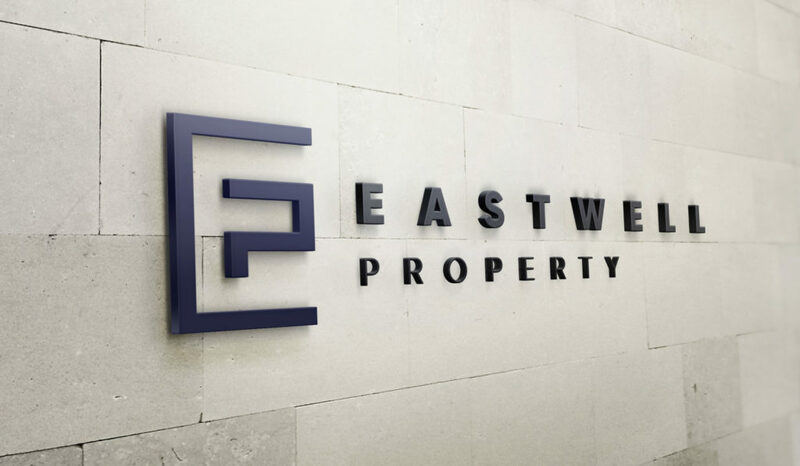 By incorporating the unique design that was introspective of the industry, Eastwell Property has an identifiable brand that is a stand-out amongst their competitors. The primary colour scheme of Eastwell property includes deep navy and saddle brown. This was a collaboration between our designer and the client, creating a definitive brand presence within the property market.